Eurotape is a dynamic manufacturer and developer of top quality self-adhesive products for reusable surgical covering materials such as OR-tapes, Inserts, Die-cuts, OR-strips and related products. 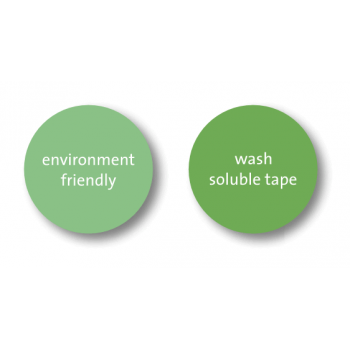 We develop and produce adhesives and products according to customer requirements. We aim to become your leading supplier by continuously improving our products and providing outstanding service. Our products are developed in close cooperation with the manufacturers of reusable surgical covering materials. The use of reusable systems provides environmental benefits and a low carbon footprint, thus helping to create a sustainable world. Major hospitals and medical care institutions around the world use our products wherever reducing surgical site infections and quality is a priority. We offer a comprehensive product portfolio based on our own product development and adhesives production. Our products are Made in Europe, CE marked, and in accordance with the latest ISO 13485 standards. We deliver premium quality and customised products in small series. We are competitive, deliver swiftly and are committed to building close relationships with our customers.